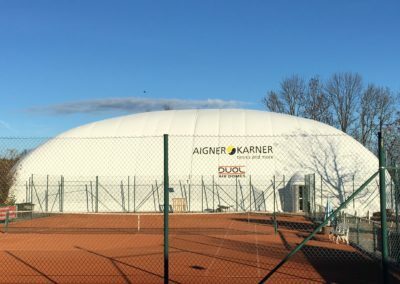 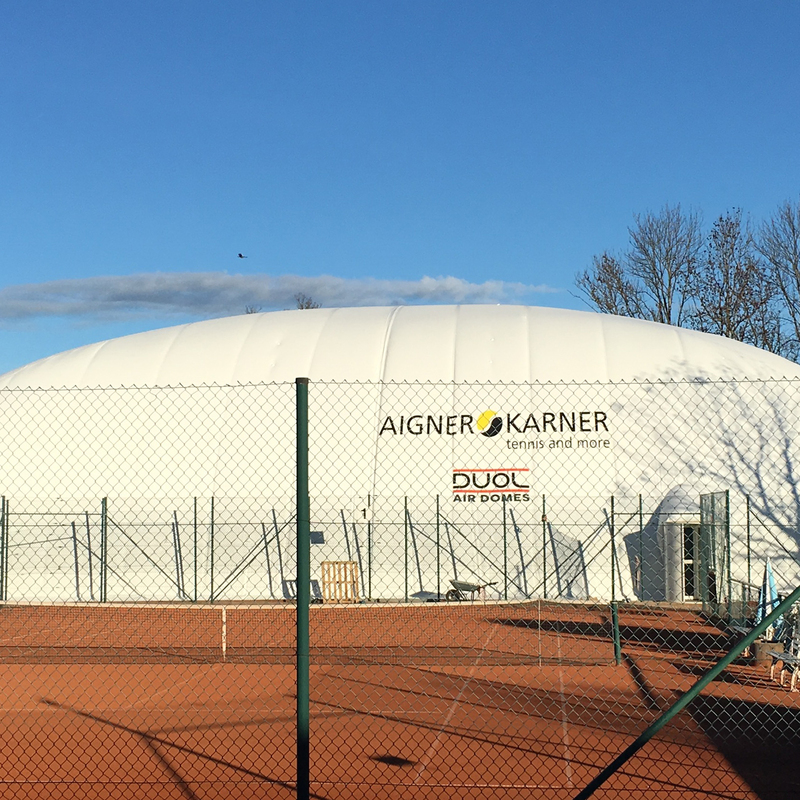 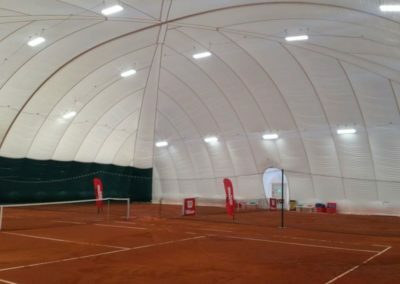 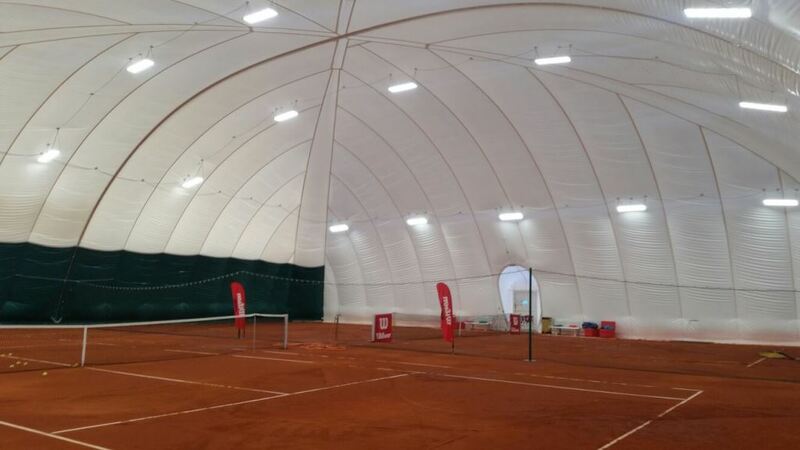 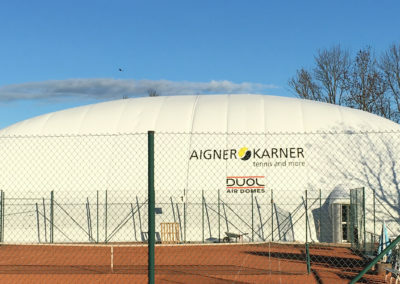 To allow for year-round tennis, an all-weather inflatable dome was to be erected over two of the clubs courts. 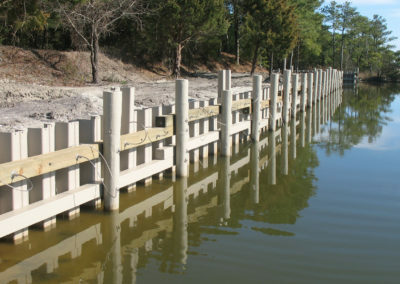 Platipus Percussion Driven Earth Anchors (PDEA®) were the preferred foundation solution due to the simplified building permissions process in comparison to concrete and the speed of installation, providing a considerable time saving for the completion of the project. 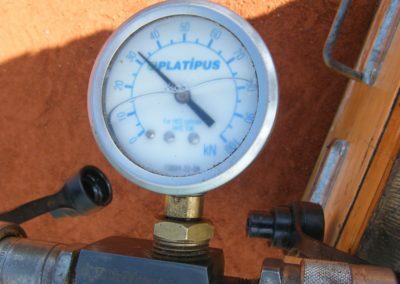 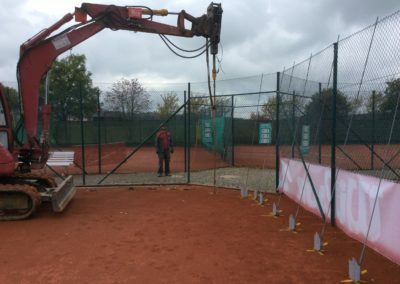 Anchor testing on site revealed that a B6 anchor, installed to a depth of 3m, would be required to reach the specified design loads of 25kN in the slightly wet and soft clay soil. 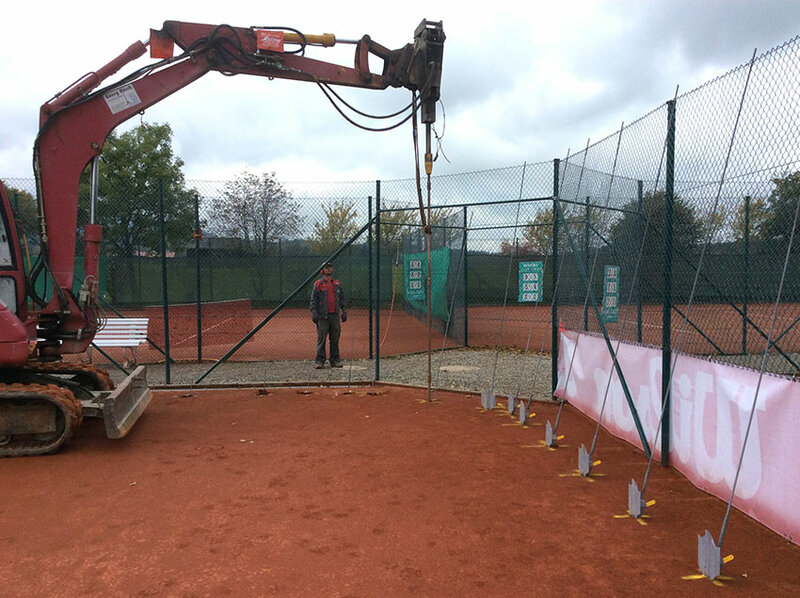 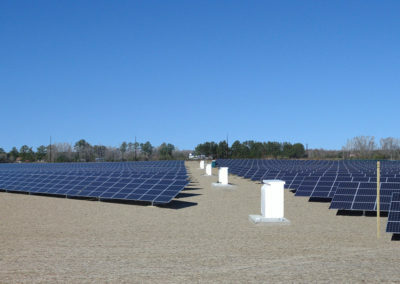 Once the anchor positions had been marked out, the installation was carried out swiftly using a small excavator with hydraulic hammer attachment. 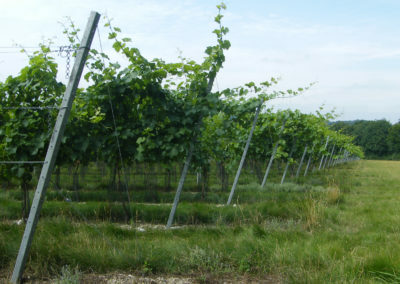 Due to its lifting capacity, the excavator was easily able to proof test each anchor to an exact holding capacity, after which the threaded rod was secured to a galvanised steel ground beam (buried below finished level) and finally the dome itself using bespoke fittings supplied by the dome manufacturer, Duol.